Ten years ago I would have considered the questions that concern us today to be quite idle and not worth asking. Despite the fact that there was then continuing controversy over the historical context of the gospel record, there were few people who doubted that there was history in there somewhere. Even critics who were hostile to Christianity would rarely go so far as to claim that the whole thing was a fabrication, and that Jesus never existed at all. Such ideas had been entertained at the time of the Enlightenment in the 18th century, and have surfaced since, but have never been treated seriously by Christian scholars, and the prevailing view has always been that the testimony of the Gospels, the testimony of the Christian church itself, and the testimony derived from references to Jesus in contemporary Jewish and Roman records, establishes his existence as firmly as that of Caesar or Napoleon. As to the second question – does it matter? – I would, ten years ago, have answered: ‘Of course it does; without Jesus, Christianity lacks all credibility, and to modify a statement by St. Paul, without Jesus our faith is in vain’. But about ten years ago doubts began to form in my mind as I undertook a systematic study of Christian origins, and I realised that the traditional ways of arguing that Jesus was a real historical figure looked increasingly tendentious and bogus. 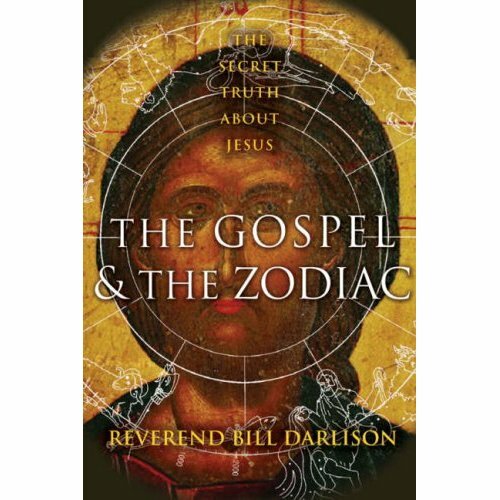 I came to the conclusion that the Jesus story as presented in the Gospels has its origin as a solar myth, and that the death and resurrection story owes more to pagan mythological motifs than it does to genuine historical reminiscence. This is not an easy position to hold – particularly not for someone who considers himself to be a Christian – and it is not easy to hold this (or any other opinion for that matter) in isolation. I was very pleased, therefore, to come across the book Pagan Christs by J.M. Robertson, which confirmed many of my own suspicions. 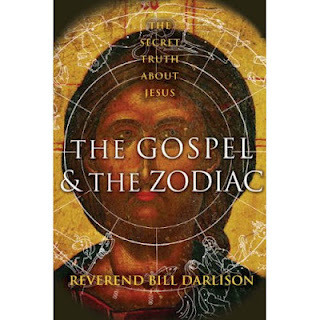 But Robertson’s book was originally published about 100 years ago, and its uncomfortable conclusion – that the Jesus story was originally a script for a kind of morality play – had been ignored and perhaps even scorned by 20th century critics. But such ideas are not moribund, and three books published within the last twelve months take up the same or similar themes, and reading them has given me enough confidence in my own views to enable me to share them with you this morning. The books are: The Bible in History, How Writers Create a Past, by Thomas L. Thompson; Jesus One Hundred Years Before Christ, by Professor Alvar Ellegard; and The Jesus Mysteries, by Timothy Freke and Peter Gandy. A fourth book, Did Jesus Exist, by G.A. Wells, was published in 1975 and anticipates the conclusions of the others. It would be impossible in a short sermon to give even an outline of the case that is presented in these volumes; all I can do is whet your appetite by saying that they tackle head on the arguments normally advanced to prove that Jesus was a real historical figure, by showing that the inconsistencies and anomalies of the New Testament strongly suggest that the historical Jesus was an invention of the early church; that we can explain the existence and growth of Christianity without a flesh and blood Jesus; and that the Gospels show such a direct relationship with the mythological material of the Mystery religions that it seems likely that Christianity grew out of a Gnostic and esoteric version of Judaism, possibly that of the Therapeutae in Alexandria, rather than from the mainstream Judaism of Jerusalem as is generally assumed. All these authors make much of the fact that the very earliest documents of the New Testament make no assumption that Jesus lived in the first century A.D. These early documents are the great letters of St. Paul, not the Gospels which, although printed first, were not written until Paul was long dead. Paul never mentions any of the details about Jesus’ life with which we are familiar – not the birth from a virgin, the miracles, the Sermon on the Mount, or the crucifixion under Pontius Pilate. Orthodox scholars, who have long been aware of this, have argued that he doesn’t mention them because they weren’t relevant to the specific problems he was addressing in his letters. But at times, the teaching of Jesus was crucially relevant to Paul’s concerns. In the Letter to the Galatians, for example, he deals with the relationship between Jews and Gentiles – a raging controversy in the middle of the first Christian century – but he never quotes one of Jesus’ pronouncements on the subject, which, presumably, would have settled the argument. It is likely that he didn’t quote them because he didn’t know them, so seriously challenging the view that the gospel material was circulating in oral form before it was eventually written down. If Jesus did not exist, what about the zeal of the early Christians and their willingness to suffer and die for their faith? Would they have been prepared to die for a fiction? What is really interesting about this question is that we continue to take it seriously. For a start, the only account we have of early Christian activity is the Acts of the Apostles, written towards the end of the first century, and hardly an objective account of anything. But religious movements whose origin and growth we can monitor have demonstrated that zeal has little or nothing to do with genuine conviction following a dispassionate appraisal of the evidence. The Mormons, for example, number at present over fourteen million – a spectacular performance after only 160 years, far more spectacular than the growth of Christianity - and yet no one here would be prepared to suggest that this is evidence for the truth of Joseph Smith’s claims. Zeal is no guarantee of anything; it simply describes the mind-set of any individual or a group, a mind-set whose origin could be due to any number of factors. Religious zeal is often impervious to reason, as recent mass suicides in the cause of bizarre ideas have shown. What about the non-biblical references to Jesus that can be found in Jewish and Roman writers? Surely these prove the existence of Jesus, since they were hardly written by people with a point to prove? But references that we find in Pliny, Suetonius, and Tacitus, demonstrate very little more than that people calling themselves Christian were proving troublesome here and there in the Roman Empire. Tacitus does mention Jesus and his crucifixion under Pontius Pilate, but he was not writing until the beginning of the 2nd century, and so was almost certainly quoting later Christian claims rather than established historical fact. The Jewish historian Josephus, a contemporary of Jesus, has a famous passage about Jesus in which he eulogises him as a wise man (‘if indeed one might call him a man’), a miracle worker, and a prophet. He mentions his death under Pontius Pilate and his resurrection from the dead after three days in the tomb. Here, surely, is the evidence we need! Sadly, no. There is not a single reputable scholar who believes that this passage is genuine. The style is not that of Josephus, and if it is removed from the text it does not disturb the flow of ideas. What is more, the great Christian scholar of the 3rd century, Origen, tells us that there is no mention of Jesus in Josephus. It is not until the time of the 4th century historian Eusebius that mention is made of this passage. We can easily form our own conclusions as to what happened. This desire of the early Christians to establish the existence of a historical Jesus began very early indeed because – and this might come as a surprise to many people who think that we can only explain Christianity on the assumption that Jesus did exist – in the early church there were numerous groups for whom a human Jesus did not matter one jot. One of the most influential works of early Christian writers is Irenaeus’ Against Heresies, written towards the end of the second century. It is a most peculiar book, in places almost unreadable, because he spends his time attacking and parodying various heretical groups like the Valentinians and the Carpocrations, who were making what, to him, were absurd claims about Jesus and the symbolic nature of the stories that were circulating about him. For example, Irenaeus spends page after page trying to show that the ministry of Jesus lasted at least three years, and not just one year as the Valentinians were claiming. Indeed, Irenaeus would have us believe that Jesus was over fifty when he died, a fact which, he says, is well known to all, and which has been passed down through the generations from those who had originally known him. So much for tradition! If there were Christians in the early church for whom the historical Jesus was not an issue, why does he need to be an issue for us today? These groups were ruthlessly eliminated by a much more powerful wing, which considered that they were perverters of the simple truths of the gospel. Fortunately, they don’t have the power to do this today, and we are free to explore the possibility that Christianity began as a Mystery religion, with a symbolic, fictional hero, and that this was historicized by those who find such ideas uncomfortable or unintelligible. In fact, the real heretics were those who won the battle, and whose system, which we have inherited, has had some quite extraordinary, and not always positive, consequences for religious thought and activity. Readers of your blog might be interested in the variety of views expressed about Easter (and the historicity of Jesus) in the April 2012 issue of The Unitarian, available for download from the back issues page (when you have clicked on "April 2012", right-click on the PDF and select "Rotate clockwise"). resurrecting deities. In these stories, the hero dies, descends to the underworld, and returns to the mortal world bringing some blessing or new knowledge. Eurydice. Jesus goes there to rescue the souls of those trapped in Gehenna (this is referenced in the only letter of the Apostle Peter). 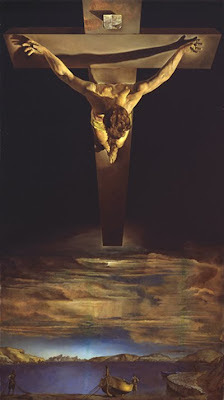 In Christus Victor theology, which is prevalent among the Eastern Orthodox churches, Jesus “tramples down death by death” and because he is God, cannot be contained by death, and so transcends it. He then returns transformed into a being who can manifest as he chooses—by the Sea of Galilee, or on the road to Emmaus. The mythical journey undergone by all these heroes and heroines is a descent into death and the underworld, returning transformed into something greater, and bringing back a gift for humanity. The hymn Now the green blade rises references this mythological and transformational aspect of the Easter story. the descent into the dark night of the soul, and the resurrection as the True Self. In Orthodox Christian theology, this transformation is called theosis, literally deification, making us divine. It’s not too hard to see an analogy with the Buddhist concept of enlightenment. other with “Christos Anesti” (Christ is risen) - because he is risen in their hearts and in the church which is his mystical body (and they presumably believe it literally as well). of Persephone’s descent into the Underworld, and underwent a profound transformation or initiation as a result. take it literally to enjoy the unfolding drama of the Mystery. We can witness the story and experience transformation ourselves, like participants in a mystery tradition. Leo (1): Who am I?